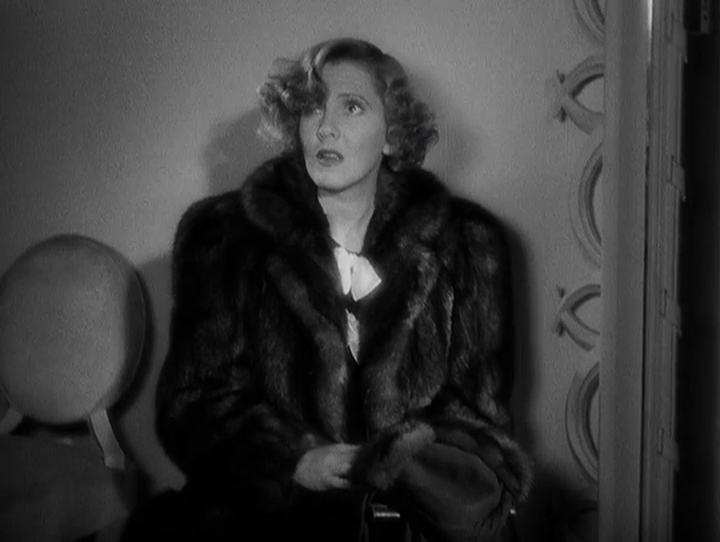 A millionaire (Edward Arnold) upset that his wife (Mary Nash) has purchased yet another expensive fur coat drops it from his building, where it lands on the head of a woman (Jean Arthur) riding to work on a double-decker bus. Arthur quickly finds herself the center of attention by a clothes designer (Franklin Pangborn) and hotelier (Luis Alberni) who assume she is Arnold’s mistress, and are eager to use her as a marketing pawn. 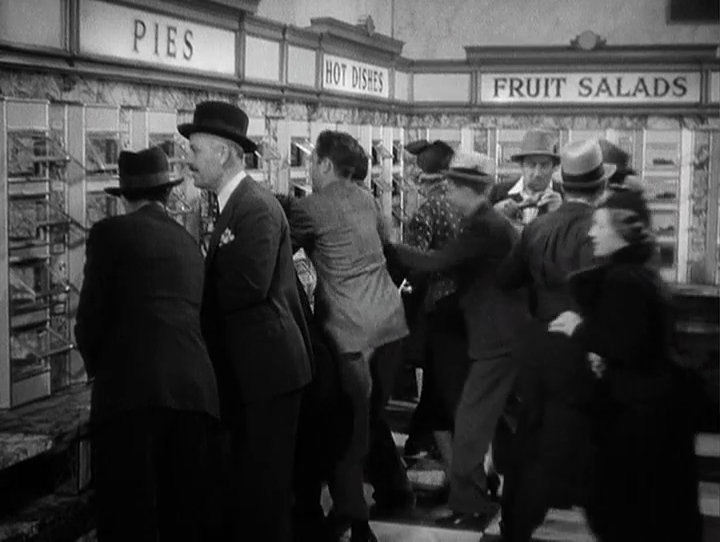 Meanwhile, Arnold’s son (Ray Milland) — attempting to earn his own money by working at an automat — meets Arthur and the two fall in love, not realizing each other’s true social status. 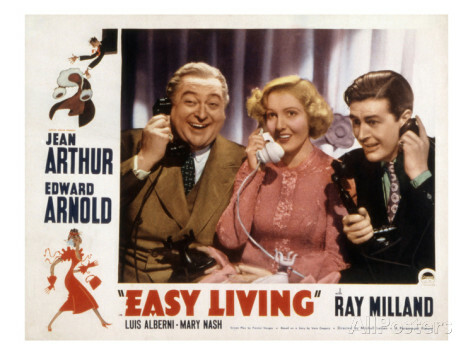 Preston Sturges scripted this madcap screwball comedy predicated entirely on mistaken identities, with characters making countless assumptions while literally shoving a penniless young woman into wealth and comfort she never asked for (what a dream for Depression-era audiences!). Arthur is as appealing as always (I especially enjoy the scene where she carefully covers her ceramic piggy bank’s eyes with a tissue before smashing it), and she’s surrounded by a game cast who take full advantage of the absurd comedic potential — most notably Pangborn and Alberni as men whose livelihood revolves around catering to the uber-wealthy. Unfortunately, director Mitchell Leisen keeps the pace a little too frenetic, mostly showing non-stop chaos — including plenty of (too much?) physical comedy (characters trip and fall constantly), repeated malapropisms by Alberni (see quote above) and a lot of shouting, especially in the final third. No, though it’s recommended for fans of Sturges and/or Arthur. Among film fanatics, the comedy fans are probably aware that – when he was just writing scripts – Sturges was very anxious to direct his own material. 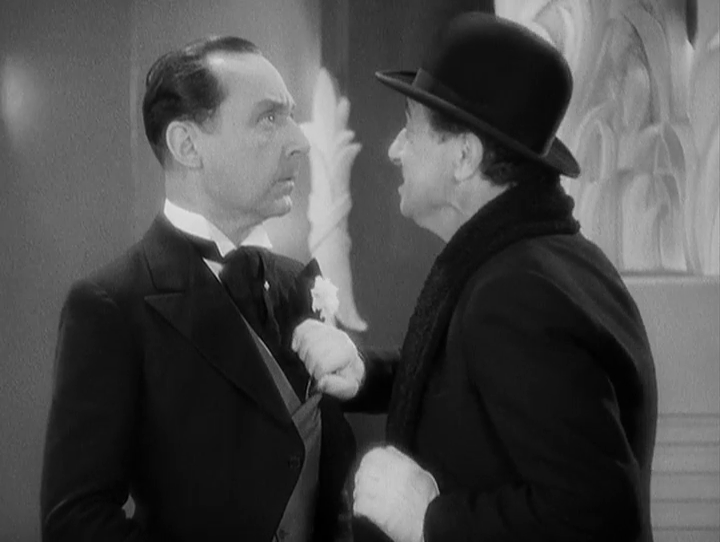 One of the reasons was that he was unhappy with his collaborative work with Leisen. 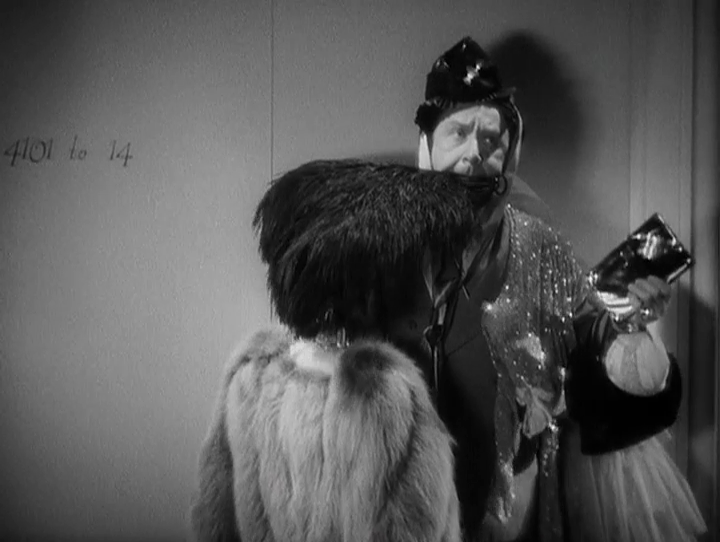 But, in this case, I’m not sure what else Sturges would have expected Leisen to do. It’s a thin script, not really developed beyond its thinness. It’s kind of a very rough draft of what was to come from Sturges – meaning, better. Certainly, in the future, Sturges would write memorably funnier stuff. Oddly, here…I don’t think I laughed once. Much of what’s here is forced because there’s not much to draw from.